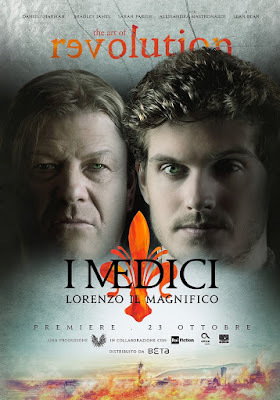 this time titled MEDICI: THE MAGNIFICENT which already aired in Italy, but will air on Netflix January 25th! 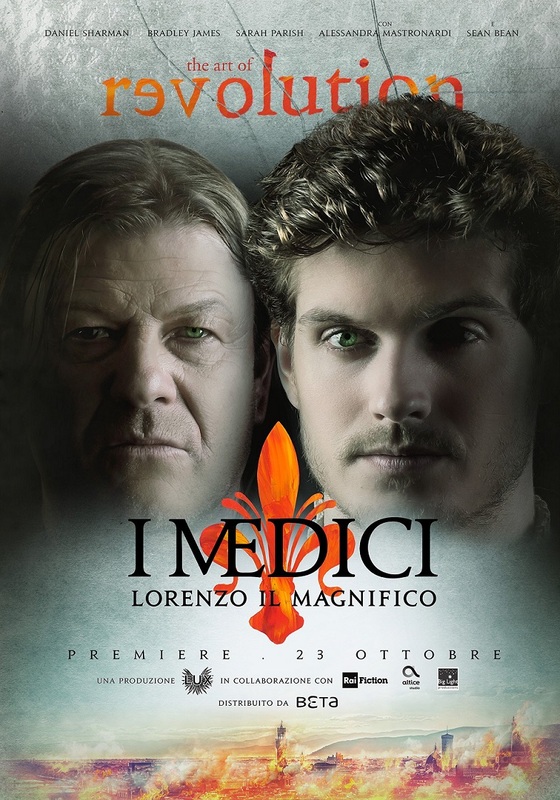 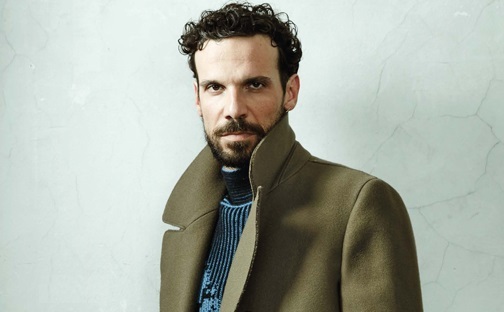 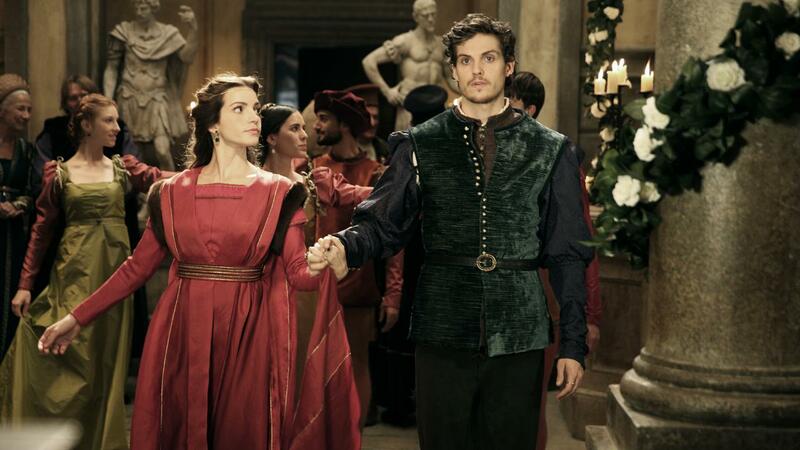 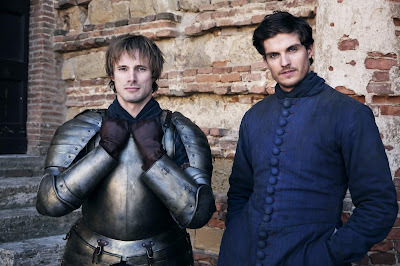 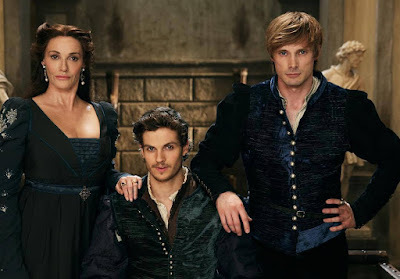 It sees Daniel Sharman playing Cosimo's grandson Lorenzo De Medici who is now taking over the family's business. 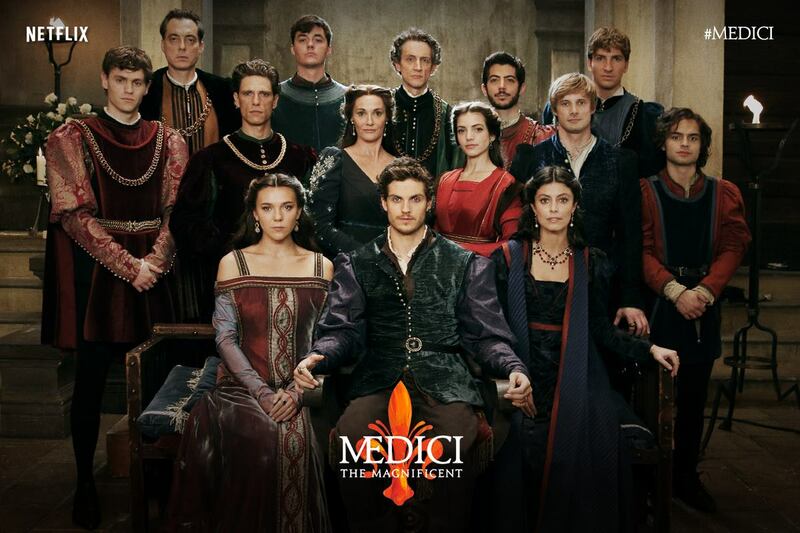 Lorenzo's and Giuliano's mother Lucrezia De Medici, Sean Bean as their enemy Jacopo De Pazzi, Alessandra Mastronardi as Lucrezia Donati and others. 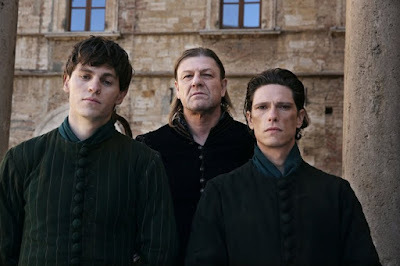 Sean Bean as Medici's enemy Jacopo de Pazzi with his sons!